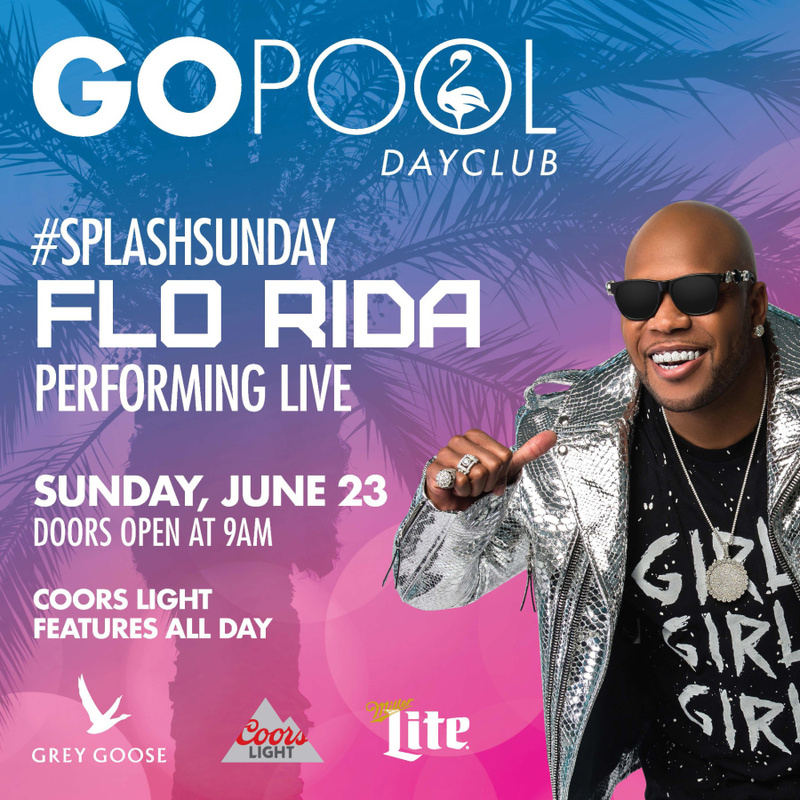 THE GO POOL PROUDLY PRESENTS SPLASH SUNDAY WITH A LIVE PERFORMANCE BY FLO RIDA. DOORS OPEN AT 9AM WITH ABSOLUT SPECIALTY COCKTAIL PITCHER, AND BOTTLE FEATURES ALONG WITH COORS LIGHT BUCKET FEATURES 9AM -NOON. FREE ENTRY FOR ALL FLAMINGO HOTEL GUESTS BEFORE 10AM.